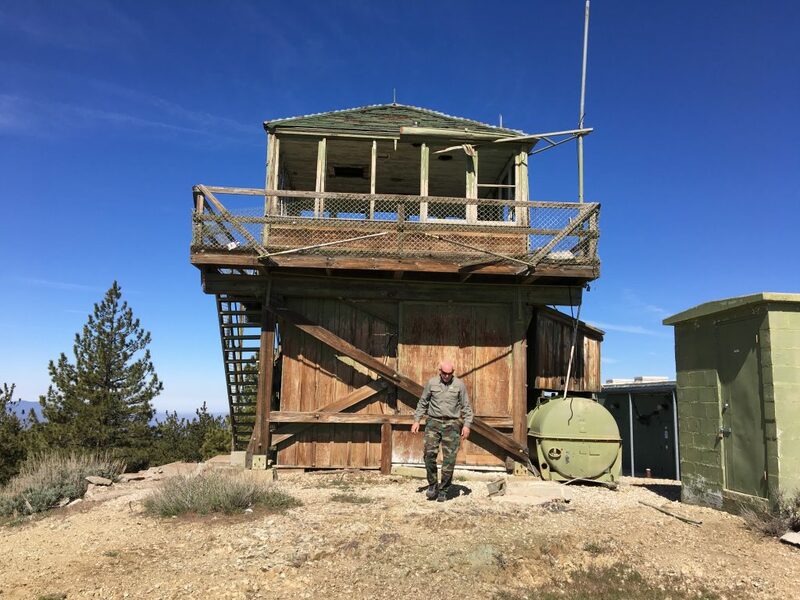 Frazier Mountain lookout tower is located on top of Frazier Mountain (elevation 8,013 feet). The mountain is named after Willian T. Frazier who was a miner in the 1850s. The site has been a lookout ever since 1905. The original building burned down in 1952 and was quickly replaced the same year by the current structure. The lookout was decommissioned in the 90s. The structure is nearly collapsed and is surrounded by a number of tall communication towers. It is unknown why is has not been registered with the National Historic Lookout Register.